Contains papain, an enzyme that breaks down protein. Promotes digestion. Seeds used to expel worms and parasites. Reduces severity of bleeding and hemorrhage in body. Dissolves and digests dead tissue. Key Uses: digestion, gas, intestinal tract. Also useful for reducing inflammation of joints and inflammation due to sports injuries. Antibiotic. Antiviral. Thought to be an especially effective leukemia treatment. Eliminates pain. Multiplies red corpuscles. Antibiotic. Possible anti-tumor. Good for ulcers, diabetes, rheumatism, yeast, cystitis, lupus, Parkinson's disease, and anemia. Key Uses: slow and inhibits growth of cancers and tumors, skin diseases. Excellent against Candida yeast growth. Very high in Vitamin C. Diuretic. Good for liver and spleen problems. Tonic for urinary system. Freshens breath. 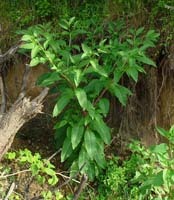 The root is used to help remove kidney stones and gravel. Contains an essential oil which invigorates the body. High in protein. Mild anti-bacterial action. Used in problems relating to enlarged prostate. Used for: bladder infections, blood cleanser and builder, remove gallstones, jaundice, kidney inflammation, urine retention. Key Uses: urinary inflammations. Reported useful for rheumatory arthritis. Used for insomnia. Relaxes muscles. Relieves nervousness, agitation and exhaustion. Helpful in controlling convulsions in children. Used in Italy to treat hyperactive children. Used for various neurological disorders. Parkinsons, epilepsy, shingles, anxiety, hypertension. Useful for ADD disorder. Used as a sedative to calm nerves during menopause. Has pain-killing effect. Eye wash used for eye infections, inflamed eyes, and dimness of vision. Also used for fevers, muscles aches, flu, insomnia, menopause. Key Uses: insomnia, nervous disorders, hyperactivity, restlessness, pain. PennyroyalDigestive aid. Relieves gas and bloating. Helpful for nausea and colic. Stimulates blood flow to pelvic area. Insect repellent. Member of mint family. Starts delayed periods. Anti-inflammatory. Gout remedy. Approved by FDA as flavoring agent. Oxytocic. Helps reduce pain when used externally. Key Uses: nausea and intestinal gas. Caution: Do not ingest pennyroyal oil. Use herb only. Do not take while pregnant. Essential oil. Sedative for the stomach. Useful for bowel problems, convulsions, and spasms. Activates salivary glands. Useful in chills and colds. Absorbs intestinal gas. Calms upset stomach. Inhibits diarrhea. Helps eliminate heartburn. Good for colic. Used for indigestion, gastritis. Encourages secretion of bile. Anti-ulcer, anti-inflammatory. Anti-microbial. Helps clear circulatory congestion. Stimulates circulation. Used in irritable bowel syndrome. Helps prevent hypercontractility of intestinal smooth muscle. If using for irritable bowel syndrome, buy enteric coated peppermint tablets which will release in the intestines and not in the stomach. 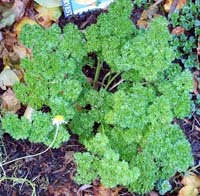 Used in the treatment of common cold (menthol). External analgesic in the treatment of arthritis, fibromyositis and other inflammatory conditions. Used to stimulate appetite, colds, colic, digestion, fever, gas headaches, heartburn, shock. Key Uses: gallstones, irritable bowel syndrome, common cold. Used topically for musculoskeletal pain. Neutralizes stomach acids. Normalizes stomach secretions. Used in first stages of venereal diseases. Drains mucus from head. Leaves applied topically stop bleeding and speed healing. Seeds are related to psyllium seeds and have a laxative effect. Reduces the intestinal absorption of lipids. Lowers cholesterol. Bulking agent used to control appetite. Juice from leaves used to treat poison ivy. Good for all inflammations. Used for bed wetting, bladder infections, blood poisoning, diarrhea, kidney, neuralgia, snake bites, sores, ulcers, wounds. 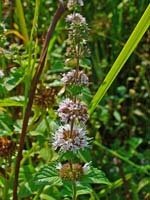 It is an herb with many and varied uses. Key Uses: urinary tract infections, hepatitis, stings, bites and wounds. 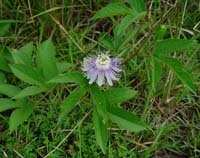 A food in Appalachians Mountains region and used as a medicine by both Native Americans and settlers. 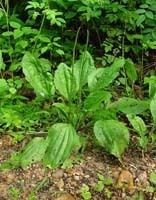 Used for heart disease, rheumatic problems, skin cancers. Lymphatic stimulant and cleanser. Used for abscesses, fissures, fistulas, and lymphatic problems. Glandular tonic. Used for enlarged thyroid, tonsillitis, swollen glands, and mumps. Psoriasis, skin disorders, scabies, infestations. Potential T-cell activator. Antigen. Activates both T-and B-lymphocytes. 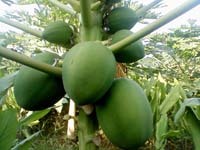 Key Uses: breast cancer, mastitis, lymphatic congestion, anti-cancer, AIDS, anti-viral, rheumatism. Caution: Potentially poisonous in large doses. Do not pick leaves or stems tinged in red. Seeds are poisonous. Dried root is generally used. Contraindicated during pregnancy, lactation, for lymphocytic leukemia and gastrointestinal irritation. Colon and intestine cleanser. Bulking agent. Removes toxins from colon. Used for acute and chronic constipation. Safe to use over long periods of time. 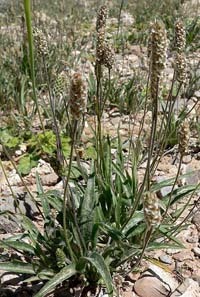 Psyllium seeds come from the plantain plant. Basis of many commercial laxatives. Use with plenty of water. Key Uses: constipation, neutralize poisons (Brown Recluse Spider), abcessed teeth. Caution: May cause asthma if the powder is inhaled. Eating unsoaked seeds may cause gastrointestinal problems. Drink plenty of water is using as an laxative to avoid constipation.